How do you design a high growth business? I’ll tell you how I did it, using just 10 basic strategies. Combined, and properly implemented, these strategies can have an incredible effect. 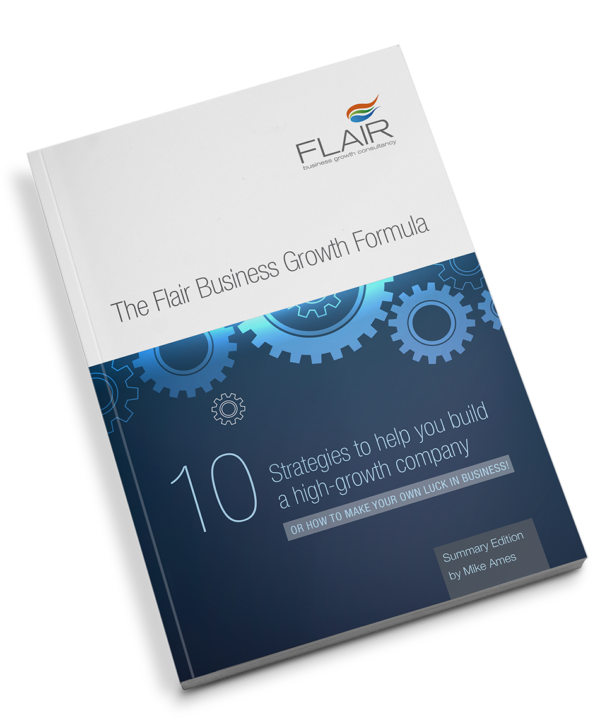 I call this combination the Flair Business Growth Formula, and it really works. My Clients: regularly enjoy double-digit growth! And I put it all down to this formula. Because I believe anyone with serious ambitions for their business can benefit from the formula I’ve written it up in two ebooks; a summary version and an extended version. 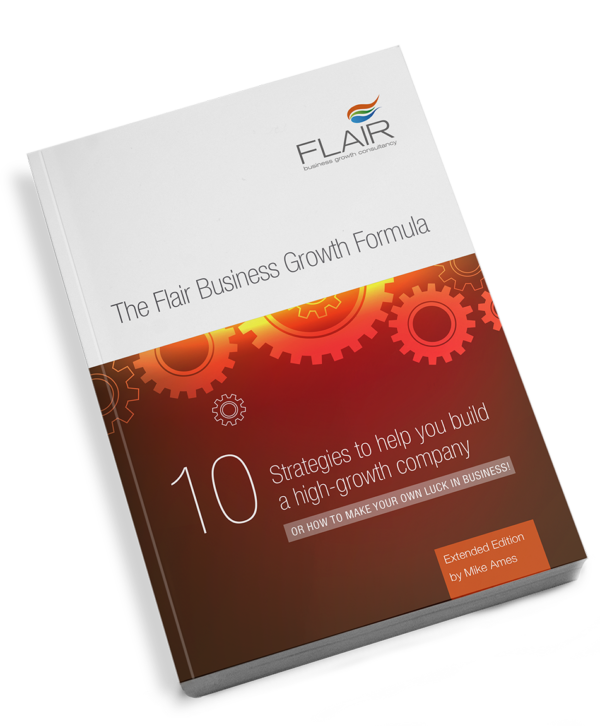 If you want to take the growth of your business seriously download your preferred version now. When finished you’ll understand the ‘what’ and the ‘why’. After reading this version you’ll understand how to implement the full formula. Audio version for people who prefer to listen on the go.